Swiss doctor Marcel Junod, head of the Red Cross delegation in Japan, arranged for the delivery of 15 tons of medicine and medical supplies to Hiroshima just after the atomic bomb was dropped on the city and personally treated the victims himself. There is a monument to Dr. Junod in a corner of Hiroshima Peace Memorial Park, but, unfortunately, few people are aware of his selfless achievements. As an ICRC delegate, Dr. Junod plunged ahead through a war-torn era and saved many precious lives without regard to nationality or race. Armed with know-how, courage, the ability to negotiate and, most of all, a love for humanity, he got through many hopeless situations. This year marks the 150th anniversary of the birth of the idea for the Red Cross. 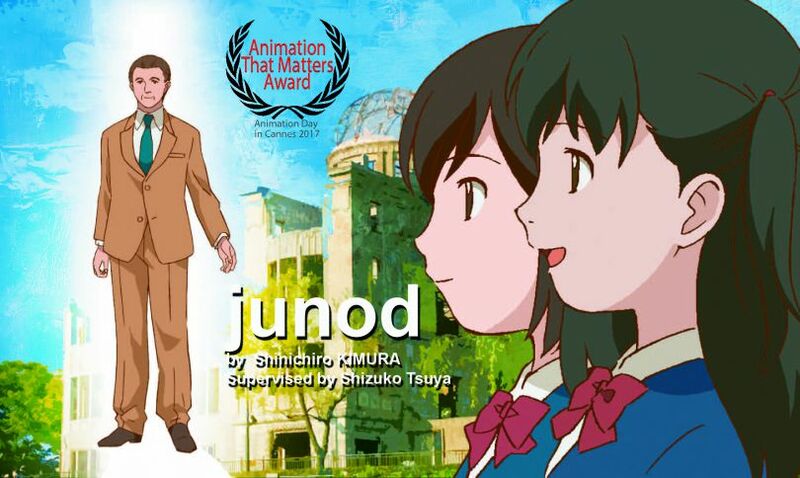 Junod is an animated film portraying selfless love – the spirit of the Red Cross which Dr. Junod embodied – and his accomplishments, sent from Hiroshima as a “gift of love” like that of Dr. Junod to as many people as possible. *This is a special screening, in collaboration with our partner Animaze: The Montreal International Animation Film Festival. Co-creator Shizuko Tsuya will be in Glasgow to present the film.